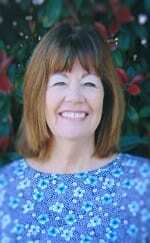 Jeanie is the Director of Administration and works in the Lake Arrowhead office. She has been with Smith Marion since 2012. She is an expert in payroll and bookkeeping and has been in the accounting industry for over 20 years! She also assists in tax return preparation and compilations. Jeanie has a personal connection with each of her clients and prides herself in providing them with great service. Jeanie has lived in Lake Arrowhead since 1982. She loves the small town atmosphere and getting to live near her large family. Jeanie and her husband have four grown daughters and nine grandchildren. They love sports and cheer for the Chargers and Lakers. She enjoys traveling and has been to Europe many times.